In spite of all the advances being made in the category, there’s still independent testing and the human factor to consider. According to Rathey, managers in the market for a new backpack vacuum should consider one that is approved by the Carpet and Rug Institute. From there, the machine is only as good as the human factor it takes to maintain and operate. 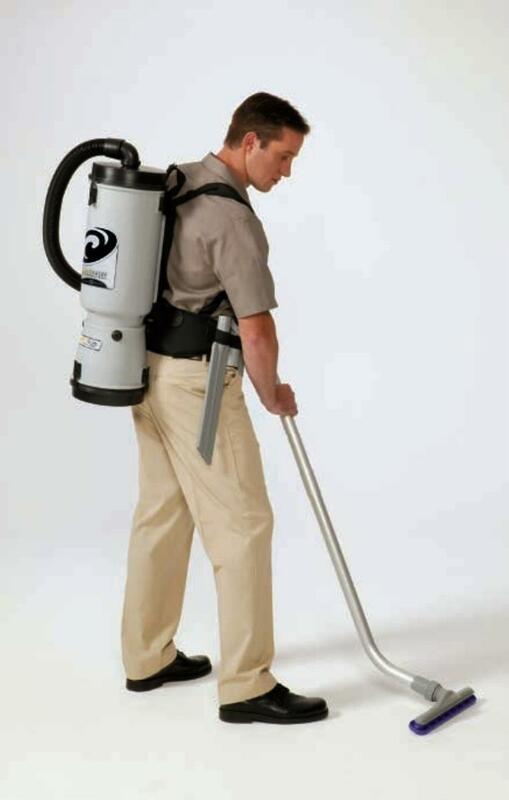 When putting together a maintenance plan for backpack vacuums, first check with the equipment manufacturer. In addition to what’s outlined by manufacturers, staff should be checking filters and cords on a regular basis. It is also important for staff to wind cords properly as they move through the building. When checking the cords, train staff to also examine the power plug prongs. With proper care, this equipment can remain a long-lasting staple for custodial departments. Managers looking to increase cleaning efficiency and productivity of their staff should add ongoing training and maintenance procedures as equipment is introduced. They should also keep on top of equipment advancements that can streamline existing carpet care programs.